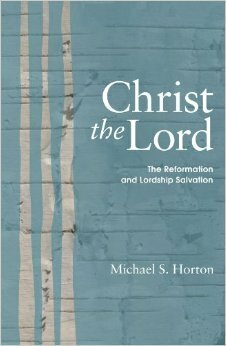 The purpose of this volume is not to provide an exhaustive defense of what we would regard as the biblical position on the ‘lordship salvation’ debate. Indeed both leading spokesmen on either side, Zane Hodges and John MacArthur, Jr., have offered some reason for discomfort over the terms lordship/no-lordship salvation. As James Boice, J.I. Packer, and others have argued in their works, no respected, mainstream Christian thinker, writer, or preacher has ever held such extreme and unusual views concerning the nature of the gospel and saving grace as Zane Hodges. In this book, there is no doubt that we are taking a firm stand against what I would rather label the “no-effective-grace” position. While Hodges insists that he is only following the Bible, apart from any theological system, it is clear that he is missing the point of the gospel itself–to make enemies friends, to reconcile sinners to God, to break the power of sin’s dominion, and to bring new and lasting life to those who before were “dead in trespasses and sins” (Eph. 2:1). It is, in part, because of that tendency, sometimes evidenced on both sides in this debate, to pretend that one is reading the Bible without any theological influences or biases, that motivated us to get involved in this sensitive and emotional issue. Both Hodges and MacArthur claim the Reformers for support. In our estimation, there is not the slightest support for Hodges and Ryrie to claim the Reformers’ favor for their novel views. The antinomians (that is, those who denied the necessity of Christian obedience) of the Puritan era so pressed the Reformers’ defense of justification to the the point where there was no place left for sanctification. However, the modern antinomianism, represented by Ryrie and Hodges chiefly, appears not to be motivated by an unbalanced fear that any talk of human responsibility will take away from God’s glory, but by fear that any talk of the effectiveness of grace will erode confidence in human responsibility and choice. In other words, the antinomians since the Reformation have erred by denying human cooperation to the point where every divine operation is while dependent on human willing and running, contrary to the words of the apostle Paul (Rom 9:16). Nevertheless, this book is not merely an endorsement of John MacArthur’s position, either. We will argue that MacArthur at certain points risks confusion on some fundamental evangelical convictions, particularly, between justification and sanctification. It must be said, however, that MacArthur has been most gracious in considering our concerns and we have been in dialogue with him for some time now. Significant changes have been made, as he has fine-tuned his definitions and applied a more specific theological framework to his exegesis. Revisions will appear in forthcoming editions of The Gospel According to Jesus and we are grateful for MacArthur’s eagerness to discuss these issues. While other differences remain, there is a great deal of discussion taking place and there is every reason to believe that the chief differences lie in the realm of definitions and pastoral practice rather than substance. MacArthur’s humility has been a lesson to us and we hope that we will be able to show our critics the openness he has shown us. Nevertheless since we are reviewing a position, and not a person, and most readers of this volume will have read the earlier edition of The Gospel According to Jesus, we have retained our criticisms on these points for the reader’s benefit, noting MacArthur’s revisions at the appropriate places. Let me also say that John has graciously allowed me to read the draft of his book, The Gospel According to the Apostles, which should be released about the same time as this volume. The sequel is clear, precise, and cautious, and it ought to correct the misunderstandings not only of those like Hodges, who have misrepresented MacArthur’s position through caricature and hyperbole, but even perhaps the misguided zeal of some “lordship salvation” disciples as well. It is because both positions claim to be echoes of the Reformation that we thought the debate was in need of a more historical treatment. For that reason, one will not find in Christ the Lord a comprehensive exegetical treatment. While there are chapters devoted to covering the biblical material (which is, after all, our “only rule of faith and practice”), the book has a decidedly historical tone to it. It is offered unabashedly as a “Reformation response” to the positions thus far presented, not because the Reformers and their successors were infallible, but because evangelical Protestantism owes a debt of gratitude to them for digging the gold out of the rich spiritual veins through the centuries so that we could learn from those who have gone before us. Theology, preaching, teaching, counseling, and pastoral care are not done in a vacuum; we are all influenced and shaped by our own traditions, upbringing, seminary education, and church curricula, and these are all shaped by certain theological systems. It is the goal of this book to help rub the sleep from our eyes, to drive away the naive assumption that we can just be “Bible teachers” without careful theological reflection from a particular systematic point of view. The Reformers were certainly not infallible–they would be the last to say they were–but they were wise, wiser than any of us around these days. And we would be poor stewards of the inheritance God has given us through them if we did not at least attempt to gain their counsel on these important debates. It can be as difficult for their followers as for prominent preachers and theologians themselves to submit to the consensus of a whole body rather than to promote their own distinctive teachings, emphases, and corrections. Those who were raised in more legalistic and Arminian backgrounds may be prone to confuse every call to obedience as a threat to newly discovered doctrines of grace. The zeal of those who are converted from a life of debauchery or perhaps from a liberal denomination may boil over into legalistic fervor. As at the Jerusalem Council, representatives came to Nicaea, Chalcedon, Torgau, Dort, and Westminster with idiosyncrasies. Yet they had to make their case, participate in restrained debate, and talk to each other in a deliberative assembly, rather than about each other on blogs and in conversations with their circle of followers. Muting personal idiosyncrasies in favor of a consensus on the teaching of God’s Word, these assemblies give us an enduring testimony for our own time. Nothing has changed with respect to how sinners are justified and sanctified. There has been no alteration of God’s covenantal law or gospel. If the growing charges and countercharges of antinomianism and legalism continue to mount in our own circles, may God give us good and godly sense to recover the wisdom of our confessions as faithful summaries of biblical faith and practice. And may the Spirit direct us to the fraternal fellowship of the church’s representative assemblies for mutual encouragement and correction. In what manner and order the preaching of the law should accompany that of the gospel. I. The law, and the gospel are taken either in a stricter or in a larger, signification. V. As of that which is between the Father and the Son. VI. Not so of that which is between God and the elect. VII. Yet in various respects, it is referred to the covenant of grace. VIII. The gospel, in a larger sense, has also its law. IX. But most strictly taken, it consists of mere promises. X. Under the evangelical economy, the law should be preached with its uses. XI. But also the gospel with all the riches of its grace. XII. Both in the highest degree of perfection. XIII. We must not be very solicitous concerning the order, since both should be preached together. XIV. The beginning of the new life is from the preaching of the gospel. XV. But in its progress, sometimes the law takes the lead, and sometimes the gospel. I. II. The law, and the gospel are taken either in a stricter, or in a larger signification. III. The law may he considered, either as the rule of duty, IV. Or as the condition of the covenant; as well of works, V. As of that which is between the Father and the Son. VI. Not so of that which is between God and the elect VII. Yet in various respects, it is referred to the covenant of grace. VIII. The gospel, in a larger sense, has also its law. IX. But most strictly taken, it consists of mere promises. X. Under the evangelical economy, the law should be preached, with its uses. XI. But also the gospel, with all the riches of its grace. XII. Both in the highest degree of perfection. XIII. We must not be very solicitous concerning the order, since both should be preached together. XIV. The beginning of the new life is from the preaching of the gospel. XV. But in its progress, sometimes the law takes the lead, and sometimes the gospel. II. Otherwise it is known to all who are acquainted with theology, that the law is sometimes used in such an extensive signification, that it contains the whole system of the doctrine of salvation, the better part of which is the gospel: Isa. 2:3; 42:4. and that also the gospel sometimes signifies all that doctrine which Christ and the Apostles delivered, in which are comprehended both commandments, and prohibitions, and upbraidings, and threatening, Mark 16:15 compared with Matthew 28:20; Romans 2:16. III. And the law in that strictest signification, maybe considered two ways; either as in itself, or as subservient to some covenant. The law in itself, is the most absolute rule of all duty, to be performed by man in whatsoever state; so that the goodness or malignity of all rational actions, without exception, is to be examined by it. IV. But it obtains another relation, when it is subservient to some Divine covenant. It served the covenant of works of old: and still it serves the covenant of grace. In the covenant of works it was prescribed, as the condition, which, being perfectly performed, would give a right to the reward. VI. But if the covenant of grace be considered as made between God and the elect, I do not think that it should be said, that the law, as sincerely performed by us, is also the condition of this covenant. For it has been abundantly shown above, that they are egregiously mistaken, who contend that sincere obedience, performed to the command of Christ, which may come under the name of faith, has succeeded in place of perfect obedience, which was demanded in the first covenant. VIII. And hence methinks, that much-tossed question may be easily decided; whether the covenant of grace, or the gospel, has also a law peculiar to itself? Indeed, if by the gospel we understand the whole body of that doctrine which was preached by Christ and the Apostles, there is no doubt but that whatever belongs to any duty, is not only repeated, but also more clearly delivered in the gospel, and with stronger exhortations, than was ever done by Moses and the prophets. And so far that part of evangelic doctrine, may be called the command of Christ, the law of Christ, and the perfect law of liberty. For why may we not boldly say, what the Spirit of God has said before us? Certainly it wants not its own weight, what Paul said of the New Testament, ε π ι χ ρ ε ι τ ο σ ι ν ε π α γ γ ε λ ι α ι ς ν ε η μ ο θ η σ ε τ α ι, “It was brought into the form of a law by better promises,” Heb. 8:6. For even the doctrine of faith is sometimes inculated under the form of a command, Mark 1:14, 15; Acts 16:31. X. Since therefore we now understand, how the law is subservient to the covenant of grace and the gospel, there is no doubt but these truths ought also to be preached under the evangelical economy of the New Testament. And that not slightly indeed, but in a diligent and serious manner: that the soul struck with a deep sense of sin, may pant after the grace of Christ: acknowledge the excellence of that most perfect obedience which he fulfilled for his people: properly esteem the benefit of the law written in the mind: be inflamed with love to that unspotted purity which is delineated in the law: explore the duties of that gratitude which it owes: be an honour and a praise to God, an example to others; and in fine, may apply to its own salvation with all becoming diligence. XI. Mean while, the gospel must also be preached in all the riches of its grace. That the soul may be convinced that its salvation is placed entirely in the grace of God, and in the satisfaction of Christ; that nothing is either done by itself, or ever can be done, whereby it may procure even the smallest particle of a right to life: that Christ, by his powerful grace prevents sinners; and often in that very moment, wherein they are incredibly mad in their wickedness, with an outstretched hand, apprehends them as his own property; and without any previous laudable disposition, by the first communication of his Spirit unites them to himself in order to a new life. A life which he undertakes to cherish, excite, preserve, and prolong to a blessed eternity. And though it is not possible, that he who is quickened by Christ should not live to Christ; yet there is nothing in which even he who lives most circumspectly can glory, nothing of which he can boast, or which he can show to God; or, in fine, which he ought not to renounce, as far as it is of himself; and as far as it is of the Spirit of God, impute, it entirely to Divine grace. For these things are both so great, and truths of such importance, that they cannot be sufficiently inculcated. XII. And thus both law and gospel should be preached in the highest point of perfection, under the evangelical economy; so that by the gospel nothing may be detracted from the obligation of the law, in as far as it enjoins holiness becoming God; nor by the law any thing in the least derogated from the superabundant grace of the gospel. XIII. But in what order is this preaching to be conducted? To me the question seems not be almost superfluous and unprofitable, since the preaching of both should always be conjoined. For who will approve of such an imprudent judge of matters, who resolves, by the continual proclamation of the law for some months, to soften souls, and to prepare them for Christ, and in the mean time, makes no mention of Christ? Or who, for a remarkable space of time, soothes the ears with the allurements of the gospel only, and does not at the same time inculcate, that we must live as becometh the gospel? In vain do you strike the mind with the terror of the law, yea, you will not even do this, unless you also point out Jesus, to whom we must flee for refuge. Neither does ever the saving grace of God shine upon men, but it immediately teaches them, “that denying ungodliness and worldly lusts, they should live soberly, and righteously, and godly in this present world.” With one breath, Christ proclaimed, Repent and believe the gospel. And said Peter, “Repent, and be baptized every one of you in the name of Jesus Christ, for the remission of sins:” and in that first discourse, with many other words did he testify and exhort his hearers, saying, “Save yourselves from this untoward generation,” Acts 2:38, 40. Every where, as often as the Apostles went to minister the word, they both preached Jesus with the resurrection of the dead, and commanded men to repent, “because God hath appointed a day in the which he will judge the world in righteousness, by that man whom he hath ordained,” Acts 17:18, 30, 31. And Paul did not deal privately with Felix, without reasoning concerning faith in Christ, and also at the same time concerning righteousness, and chastity, and judgment to come, Acts 24:24, 25. Likewise when he makes mention of its entrance among the Thessalonians, he says, “Ye know how we exhorted and comforted, and charged every one of you, as a father his children, that ye would walk worthy of God, who hath called you to his kingdom and glory,” 1 Thess. 2:11, 12. The declaration of faith, and the exciting to the study of holiness ought to be always so conjoined, that the one never be torn from the other. Nor are we bound by any rule, always to premise to other things, either these which belong to the law, or these which belong to the gospel. The order of a discourse is arbitrary, and to be prudently varied, according to the variety, of subjects and persons. XV. But when that life, infused by the Spirit, through means of the gospel, begins to exert itself, if I am not deceived, it generally takes the proceeds in the following order. That the soul, awakened as from a deep sleep, or faint, or rather death, views itself polluted with sin, guilty of many crimes, abominable unto God, most miserable in every respect, and altogether unable to deliver itself: and therefore seized with pungent grief, and despairing of itself, it pants after salvation, about to come to it from another quarter, to which purpose, the ministry of the law is useful: anon, it sees Christ held forth in the gospel, and discovering, that in him there is a fullness of salvation and an abundance of grace, it immediately betakes itself to him, altogether empty of itself, that it may be filled by him; destroyed in and of itself, that it may be saved by him. It is not possible, that apprehending Christ, and being apprehended by him, it should not, through his inestimable goodness, be inflamed with love to him, and be willing to devote itself wholly to his service, to whom it professes to owe its salvation; nor is it possible that it should not acknowledge him for a Lord, whom it hath found by experience to be a Saviour. And thus again, the gospel brings us back to the law as a rule of gratitude. Hence it is evident, how law and gospel mutually assist one another, in promoting the salvation of the elect; and how sometimes the former, sometimes the latter, takes the lead. THUS far we have disputed concerning these things. From which I draw the following inferences: That it will be our best, if leaving the-dangerous precipices of opinions, we walk on the easy, the plain, and safe way of scripture, the simplicity of which is vastly preferable to all the sublimity of high-swollen science: if we are not afraid to say what scripture says, foolishly hoping, by our more convenient phrases, to polish those which seem somewhat rugged; and do not by expressions, rigid, stubborn, hyperbolical, and unusual to the Holy Spirit, sharpen the moderate language of scripture, giving none occasion to the adversary to speak reproachfully: if finding that some things rather incautious have dropped from us, we candidly and generously cancel, correct, or retract them; and what things have unwillingly fallen from others, provided it appear they were not from an evil design, let us rather assist these with a favourable interpretation, than torture them with a rigid: if we so assert the free grace of God, that no pretext be given to the licentiousness of the flesh; so extol free justification, that nothing be derogated from sanctification; so inculcate the one righteousness of Christ, which only can stand before the Divine tribunal, that neither the utility nor the reward, which scripture assigns it, be denied to our piety; in fine, so preach the saving grace of the gospel, that the most holy law may still have its place and its use. If on both sides, we sincerely do these things, by the goodness of God, it shall follow, that instead of the quibbles of obscure controversy, the clear day shall begin to shine, and the day star arise in our hearts: instead of the briars and brambles of thorny disputation, righteousness and peace shall spring out of the earth; and banishing the contentions of unhappy differences, we shall all, as with one voice, celebrate the glorious grace of God, in Christ, and with united strength, eagerly adorn the chaste bride, the Lamb’s wife, with the embroidered garments of the beauties of holiness, and with the golden chain of Christian virtues. With which benefit, through the unsearchable riches of his free grace, may we be graciously honoured by the blessed God, the only Potentate, the King of kings, and Lord of lords, who only hath immortality, dwelling in light inaccessible, whom no man hath seen, nor can see: to whom be honour and power everlasting. Amen. So I wrote, and warmly urged at Utrecht, on the 8th. of the calends of March, 1696, and again at Leyden, 1699.